I grew up knowing my mama had been raised in the South, but I never thought much of it. She was a fantastic combination of Norwegian and Southern all rolled into one. Some time before I was born she was able to get rid of her drawl so I didn’t hear her southern accent for the first time until we returned to the south and she got around her friends and family. The first time I heard her drawl, my eyes were truly opened to what it meant to be from the South and I found so many of the things that I loved about my mom came from where she grew up. It was that moment that I completely fell in love with the South, the food, the quirky accents, the gorgeous weather and the Carolinas. 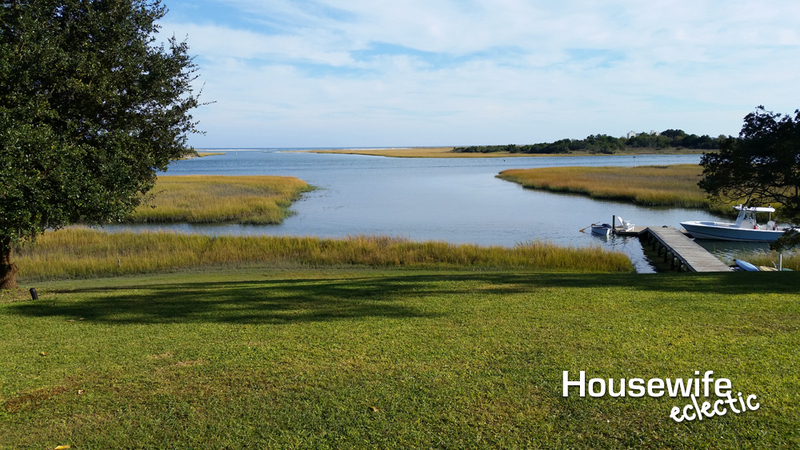 Oh the gorgeous Carolinas! The first time I set foot in South Carolina, I wasn’t sure I was ever going to be able to go home again. I had never seen so much green in my life. Perhaps my love of the South is one of the things that has drawn me to Nicholas Sparks. His works represent so much of what I love about the South and I see so much of my mom in them. I love so many of his characters and story lines set against my favorites places, and the new Nicholas Sparks movie, The Choice, is no exception. Based on the book by the same name, it tells the love story of Gabby and Travis, next door neighbors who meet each other because of an encounter with their dogs. Set against a beautiful North Carolina backdrop, the movie is about the choices we must make to find our destiny, even if we think we already know how our life is supposed to go. The book is delightful and I am sure the movie is going to be the same. To celebrate the movie coming out this week on February 5, I have put together the ultimate Southern feast for you to cook with your loved one before finishing off the ultimate date night with the new Nicholas Sparks movie, The Choice. If there’s anything that screams your mama’s Southern cooking, it is fried chicken. Fried chicken takes awhile, but just like you can’t rush fine art, you can’t rush fine fried chicken. From start to finish, it can take about an hour, but it’s worth it. Don’t skimp on any step or try to rush the process. Prepare a wash for the chicken by placing the buttermilk substitute (vinegar and milk) and hot sauce in a glass baking dish. Stir together well with wire whisk. Place chicken in the wash so it is mostly or fully submerged and cover the dish with plastic wrap. Place in the refrigerator for 30 minutes. 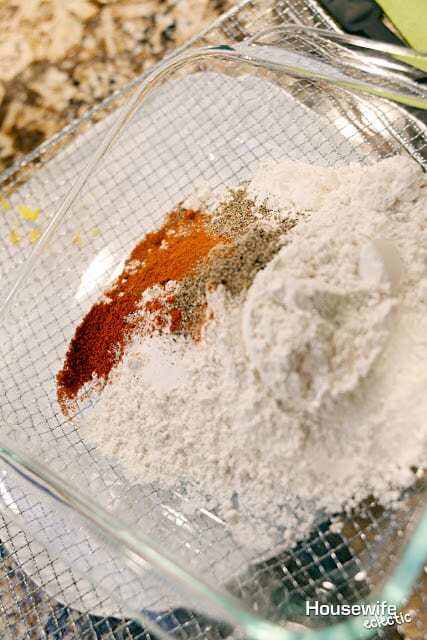 Prepare a dredge by combining the flour, salt, black pepper, paprika, cayenne pepper, garlic powder and onion powder. Combine evenly in a large, flat glass baking dish. After the chicken has sat in the wash for the half hour, you’re ready to prepare the chicken. 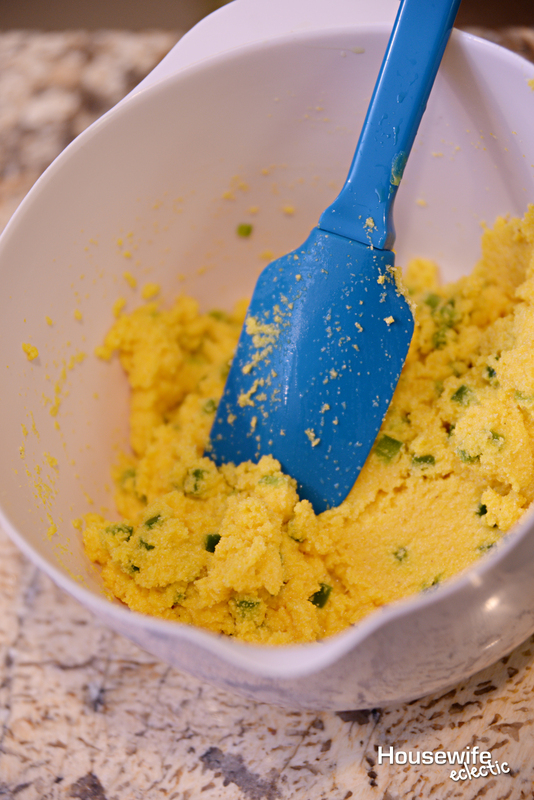 Take each cutlet from the wash and cover on both sides with dredge mixture. Repeat for all pieces. Place each flour-covered cutlet back in the wash. Then put each cutlet through the dredge again. 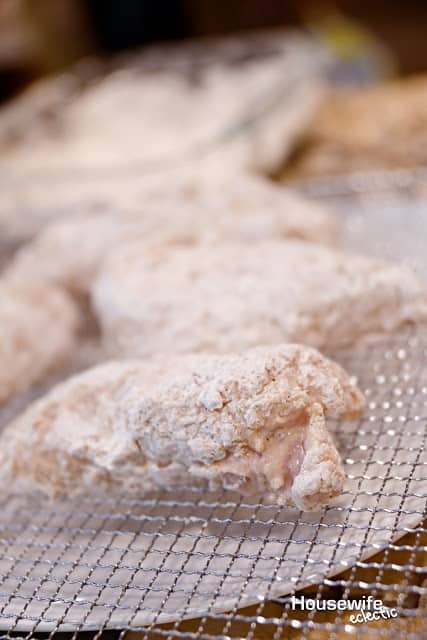 Place the twice-coated chicken on a wire cooling rack (with a plate underneath to catch any drippings) to rest for 10 minutes. This is an incredibly important step. If you fry immediately, the coating doesn’t have time to set and will flake off. 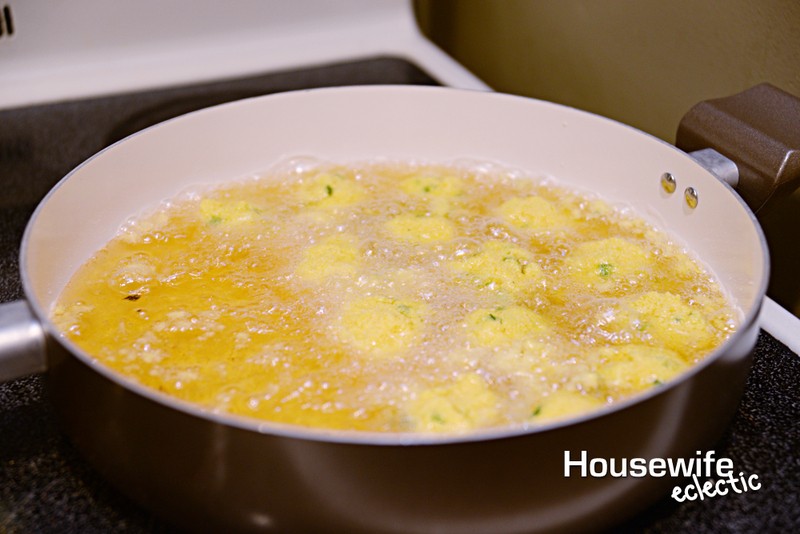 Fill a frying pan or skillet about 1- to 1½-inches full with vegetable oil and heat at medium-high temperature. Pan frying does a much better job than using a deep fryer. Take the time to wait for the oil to properly heat before frying the chicken. 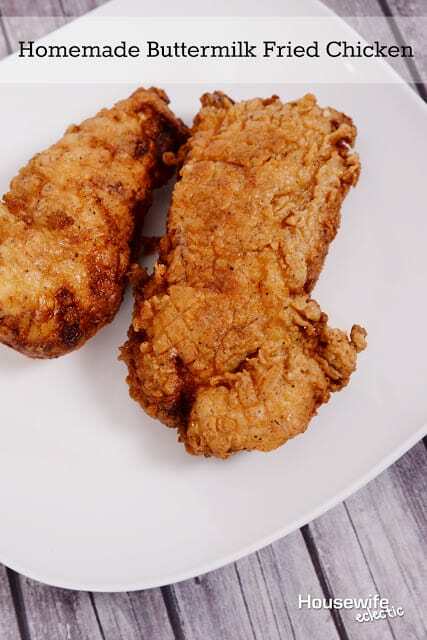 The temperature of the oil plays a major role in the quality of the fried chicken. If it’s not hot enough, the chicken won’t properly crisp. Too hot and the chicken gets super crispy on the outside and stays raw on the inside. Place the cutlets in the pan. Be careful not to overcrowd. I typically do four pieces at a time. Fry until the submerged side starts to turn a golden brown. 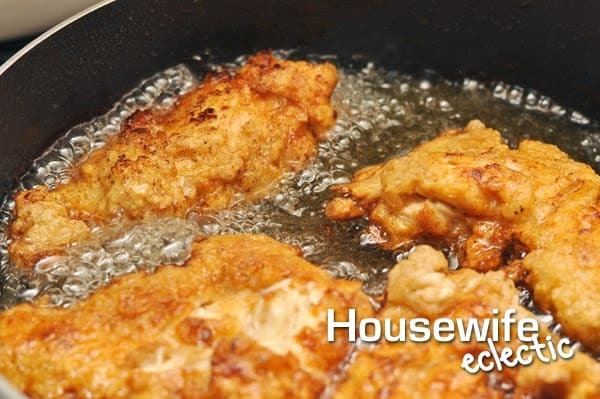 Using tongs, flip each cutlet over and continue to fry until the other side is also golden brown. 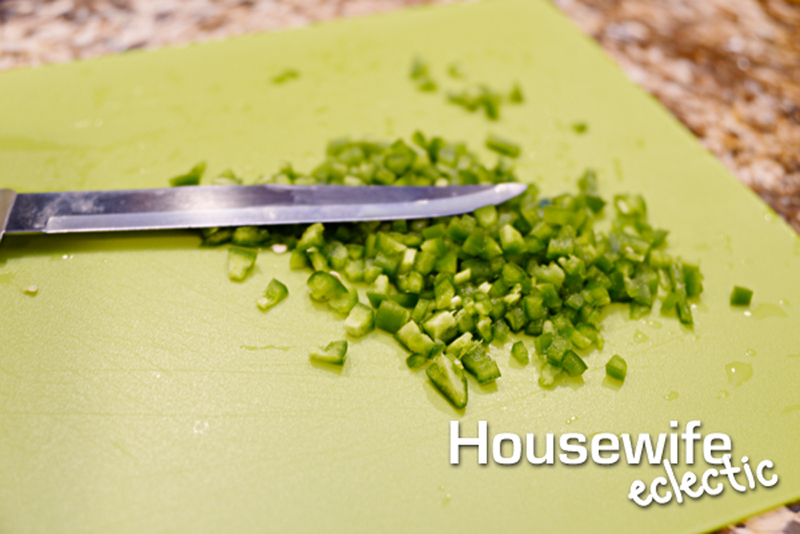 Remove from the oil and place on a paper-towel-covered plate. Let it rest for 3-5 minutes for the crisping process to finish. Yes, it’s a time-consuming process, but it’s well worth the wait. The chicken is amazingly crispy, juicy and full flavored thanks to the hot sauce and spices in the dredge. While it’s not overly spicy, it definitely has a slight kick to keep things interesting. If you have never had Red Beans and Rice, then you are truly missing out on a Southern delight. This one doesn’t take too much work, just some time to let all of the flavors meld together. Saute the green bell pepper, celery stalks and garlic in a pan over medium-high heat until the garlic and garlic pepper soften. Remove from heat. In a medium saucepan pour in the red beans, pepper/celery/garlic, sage, black pepper, thyme, Cajun seasoning, onion powder, parsley, and chicken stock. Stir until combined. 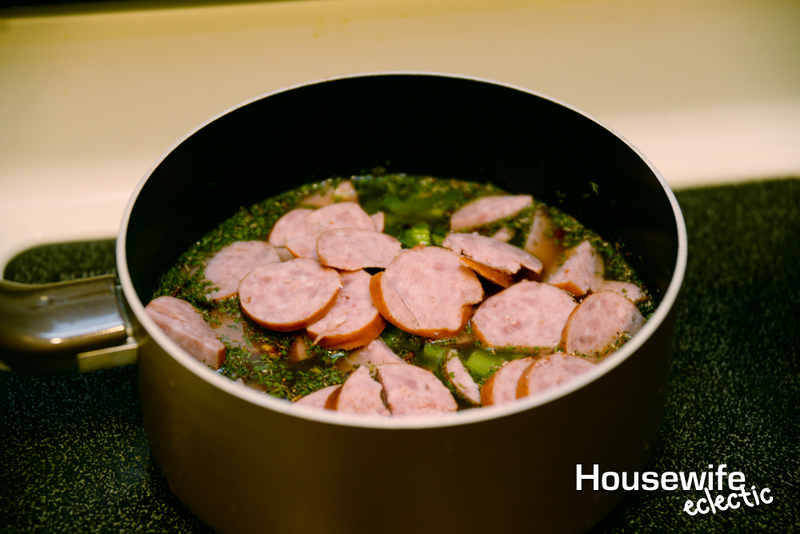 Add in the sausage. Heat until boiling then reduce heat to low and simmer on low (uncovered) for 1 1/2 hours. About a half hour before the beans are finished, place the rice and water in a rice cooker and heat until cooked. Serve the beans over a small bed of rice. What would a Southern meal be without a side of Hush Puppies? 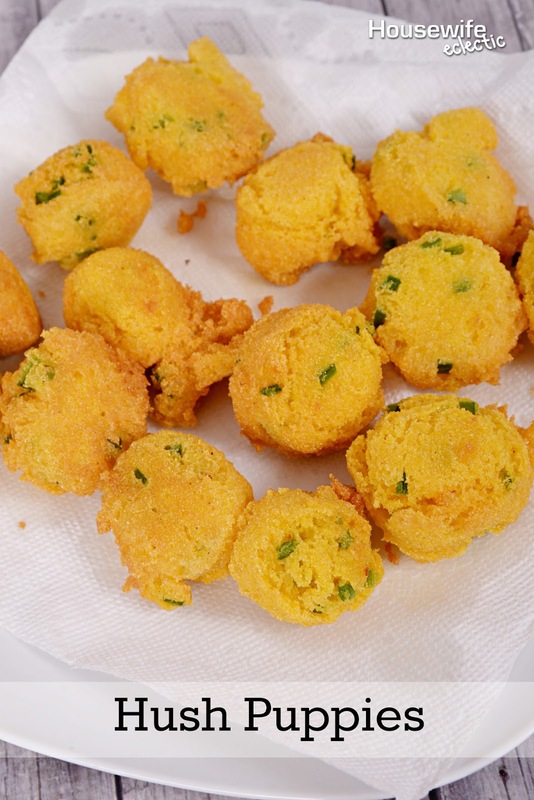 This delicious fried corn bread is the perfect finishing touch to any meal, but especially this recipe with a kick of jalapeno. 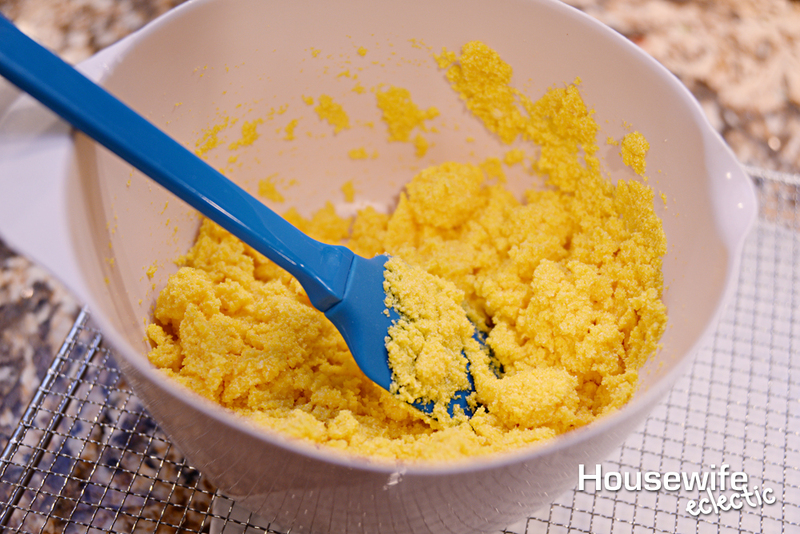 Combine the corn meal, baking powder, salt, water and milk, until well combined. Add the egg, onion and jalapeno and mix well. Using your hands, shape the batter into balls about the size of a tablespoon. Add the hush puppies to the oil and cook until they turn golden brown. Flip halfway through and cook the other side. Dry on paper towels and serve with your favorite southern foods. After you make and eat food that will warm you to your very soul, grab your loved one and head to see The Choice, in theaters February 5, to smile, laugh, feel all the warm fuzzies that come with new love, and maybe even shed a few tears. Watch the trailer for the movie here and head to see a movie that is perfect for Valentine’s Day. We just do not have food like this up here in the northeast. It all sounds so good. I have never tried Hush Puppies before but I like the sound of it. 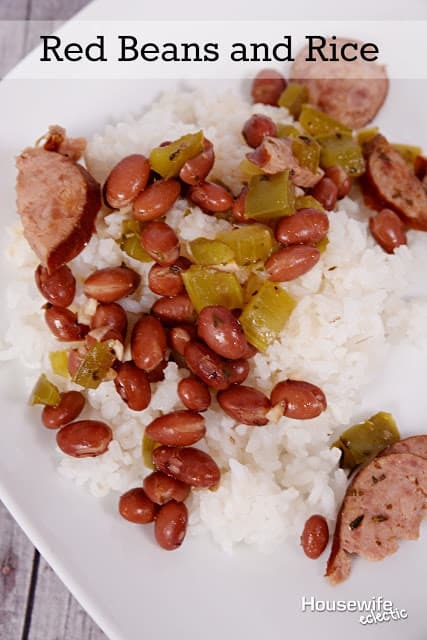 Red beans and rice is delicious too a great winter staple. I can't watch a Nicholas Sparks movie without bawling. I'm a baby. I love fried chicken! Everything looks good. I must try these recipes. My daughter and I can't wait to see the new NS movie. We cry and laugh at the fact that we cry. This looks incredible specially the chicken and hush puppies! There's nothing quite like comfort food and these have to be the yummiest looking ones I've seen. Ummm drool. That chicken looks mouth wattering! Great recipes, wow! I'm crazy about Southern fried chicken. It delicious! I'd like to try Hush Puppies but it so difficult to find cornmeal here in Belgium. Is there any substitute ingredient that you can suggest? I am loving the menu and those hush puppies are to die for. I had them a few times and I just love them. Would love to learn how to make my own. I now think that's something I want to do this weekend. Yum! This all looks delicious! I have never made fried chicken before…or eaten a hush puppie for that matter! Can't wait to see The Choice this weekend! Can you come to my house and cook this meal!! I need a night off from cooking! Yummy!!! This looks great! I live in the South West, and I love our food here! IT takes the best of Southern food, and the best mexican food and puts them into one region! I love that you shared a whole meal with recipes! These look so good! Yum! I love a good fried chicken recipe! 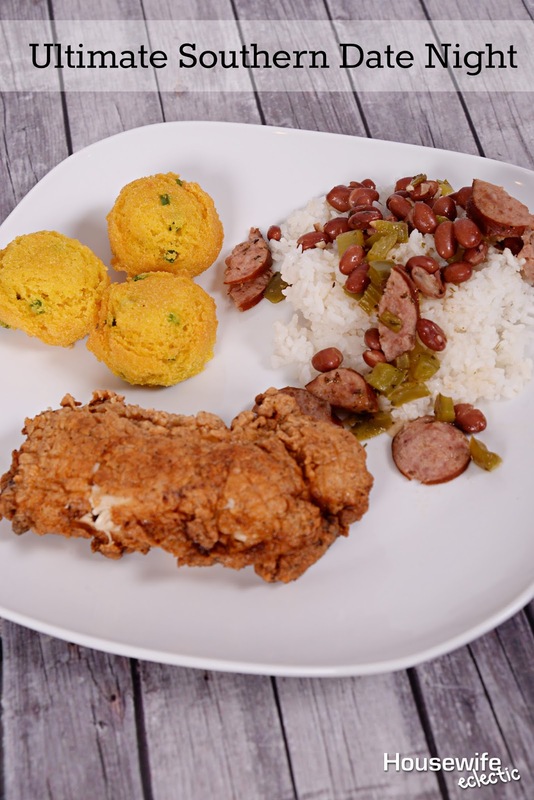 Actually, I never have had red beans and rice, or hush puppies actually! Will need to try this, thanks for sharing at Merry Monday!